Graze this farmland among the cows, rolling hills, wild flowers and there you will find Buttercup Bingo. The No Deposit Required offer will have players heading for greener pastures where a bushel full of promotions and Bingo game variations are waiting. Established in 2013, the UK has yet another online Bingo site to explore. Themed in a country bumpkin setting complete with a black and white cow mascot, tulips and buttercups, the hills are alive with the sound of bingo. Part of the Live Bingo Network (LBN) is a player’s assurance of lively promotional offers from group that can be trusted. Cozy Games software delivers the gaming platform in high quality performance and is prominent in the online Bingo industry. The registration process is quick and easy with membership available to players 18 years of age and older. A verification email will be sent along with a link to receive your Free No Deposit Bonus. To butter up players what could be better than providing a large variety of bingo game options including 90, 75, 80 and 30 ball bingo. Pre-buy tickets in advance for rooms featuring Progressive Jackpots and special games. Ticket prices start at .01 each. Join the Free Bingo rooms with cash prizes awarded. There is a small selection of Slots but one of the nice perks is having the option to not only play in cash mode but Bingo Bucks (BBS) mode as well. Hot favorite Slots like Five Pirates, Treasures of King Arthur and Mystic Wilds are a good place to start. The Casino provides Blackjack, Roulette, Keno and Video Poker games. Scratch Cards have fun themes with big cash prizes up for grabs. Minimum deposit required is £10, minimum withdrawal limit is £30. The maximum withdrawal in a one week period is £300 with the exception of Progressive Jackpots that will paid in £1,000 weekly increments. A Free No Deposit Bonus is gifted to all new players that register an account. The cap to withdraw funds from the Free Bonus is set at £30 and is not permitted until a deposit is made first. A massive Welcome Bonus offer is spread across your first three deposits. Check out other specials under the Extra Bonus offers tabs where you will find current exclusives as well as Happy Hour available daily during specified times. Slot Specials run lucrative offers with Slot Tournaments, Slot Cash-back and more. 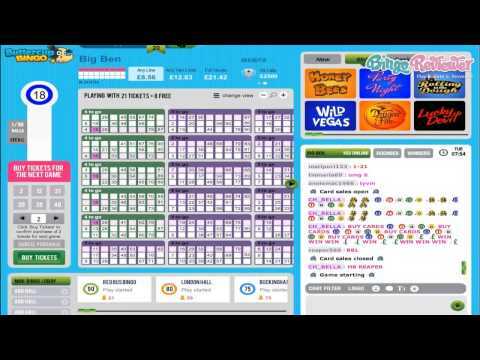 Buttercup Bingo is pretty predictable for players that have played at sites powered by Cozy Games software. One major disappointment is the maximum weekly withdrawal limits of £300. We rate Buttercup Bingo with 3 Pink Hearts. I am really pleased with the new Buttercup Bingo. I think what I was most surprised about was their selection of bingo. They offer four different variations to choose from, including 30, 75, 80 and 90 ball games. I am a player who likes a lot of variation when I play, so I am really excited about the huge selection of bingo this site has to offer. Another plus is that denominations start out at as little as 1p and there are a lot of free play opportunities up for grabs as well. New players also get to take advantage of a really nice deal for signing up. I started out with £15 free and I didn’t even have to make a deposit prior to receiving it. It gave me a chance to play a couple of games that I wanted to try out, without having to put any of my own cash into them just yet!